All in one combination for crimping, stripping and cutting. 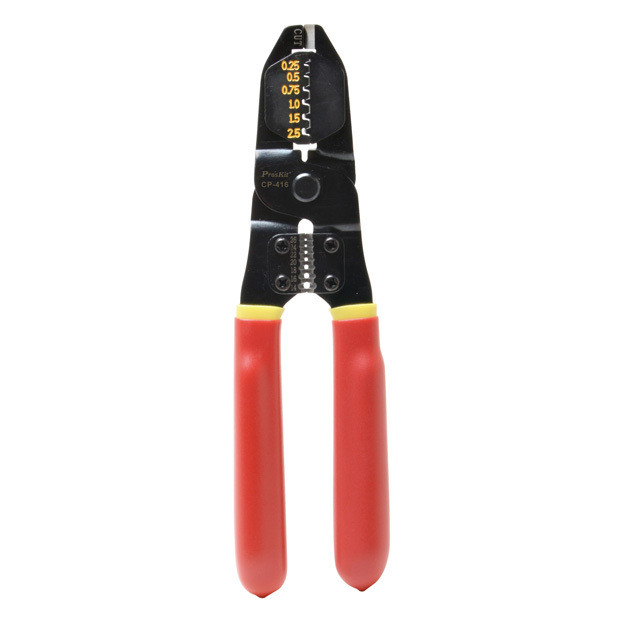 Made of high quality carbon steel with black oxide finished for anti-rust. PVC cushion grip handle provides user comfort. Ideal for crimping cord end insulated terminals from 0.25~2.5mm2, cutting and stripping wire size from AWG 26~14.